I thought I'd start making it a make regular feature to mention the lovely brands and Bloggers that will be appearing in my sidebar each month. If you are interested in advertising on I Covet Thee next month for a small fee, please click here for more information. Lashes of London: Launched in S/S12, Lashes embodies a fresh take on fashion, combining great style and supreme credibility. The brand is your radar for identifying the ultimate edit of major trends for the style devoted and fashion addicted. The brands signature is London cool, adopted from people and vintage on the street, combined with one-off embellishment and beading, giving Lashes their own distinct stamp. Items on my wishlist include: this stunning Gold Beaded LDB and Neon Collar Drop Waist Shift. Marc B: Marc B fils the gap in the market for middle-range affordable bags that maintain the quality and design of a super-deluxe product. Now found in stores across the country including Topshop and online. I'm loving all of their berry coloured designs. Oh My Love: Full of trend setting items ranging from quirky edge to daytime boho and evening glamour, Oh My Love's designs come from all around the world to bring an eclectic feel to their pieces. Items on my wishlist: the Sequin Bralet Cut Out Maxi Dress which NEEDS to be my Christmas party dress and this Red Horse Print Playsuit. Glamorous: Inspired by high fashion, contemporary night culture and vintage, Glamorous will have a design to suit any mood or occasion while standing by the belief that fashion should be individual, accessible and most of all affordable. This has really been my favourite online store this year as I never fail to find something I love within minutes. Items on my wishlist: this cosy looking Tweed Oversized Coat with Faux Fur Collar and amazing Studded Ankle Boots. Jolies Choses: A fashion and beauty blog penned by one of my oldest school friends, Gem; Jolies Choses is still getting off it's feet but promises to be a great beauty based blog with a touch of Gem's great style and hilarious antics in there too. Krystalklear Looks: Tasha is a 20 something Blogger and YouTuber from New York. 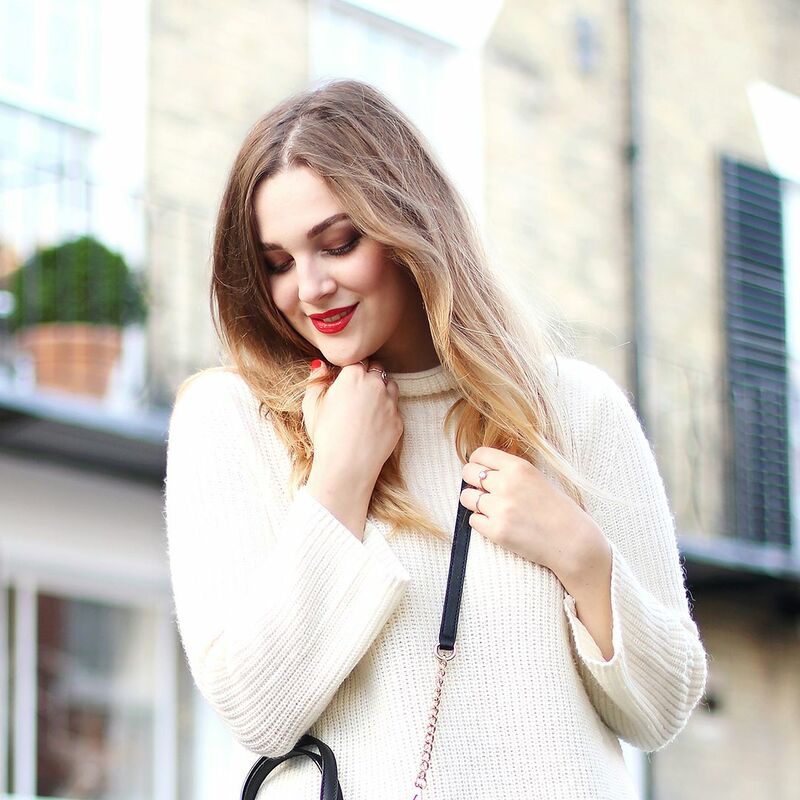 Her blog is full of great beauty reviews, tutorials and fashion posts with a little bit of her everyday life thrown in (my favourtie sort of blog!). I love her red lip tutorial using MAC's Ruby Woo which you can check out here. Perfect for the current party season!